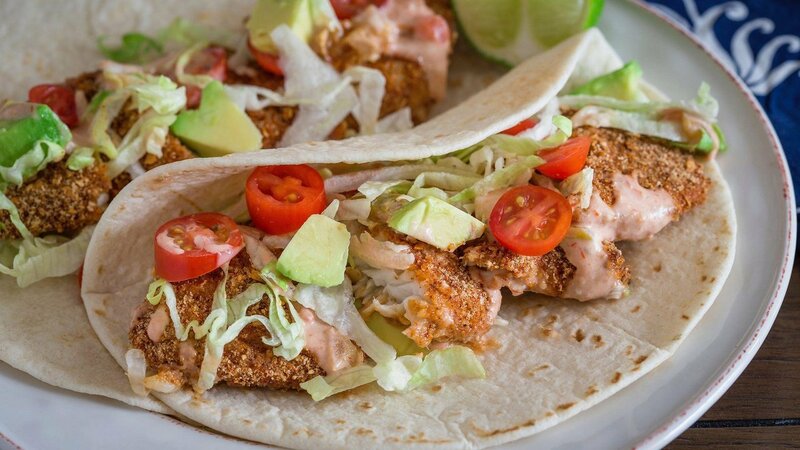 Who doesn’t love a good fish taco? 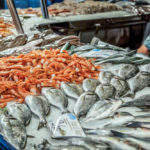 Between the tender pieces of fish, the wide range of toppings to choose from and the soft, fresh tortilla, it’s no wonder fish tacos are a perennial favorite. 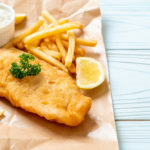 However, some fish tacos are loaded with heavy sauces or high-calorie ingredients. 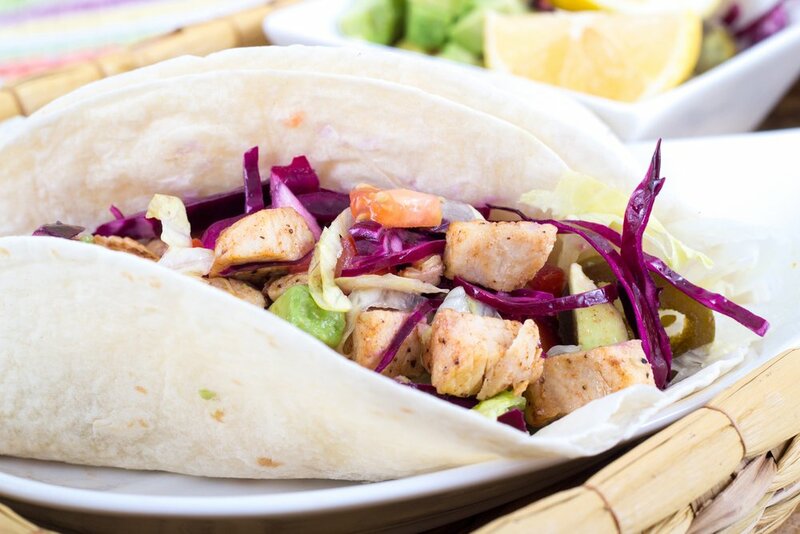 Get your taco fix without the guilt by whipping up one of these healthy fish taco recipes. 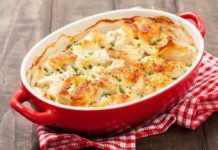 Each dish has less than 300 calories per serving! 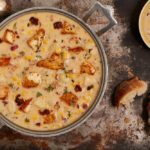 Looking for an alternative to guac? 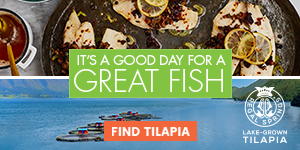 This Fish Tacos with Tomatillo Sauce recipe from Cooking Light features a light sauce of tomatillos, garlic and jalapeño instead of a heavy guacamole. 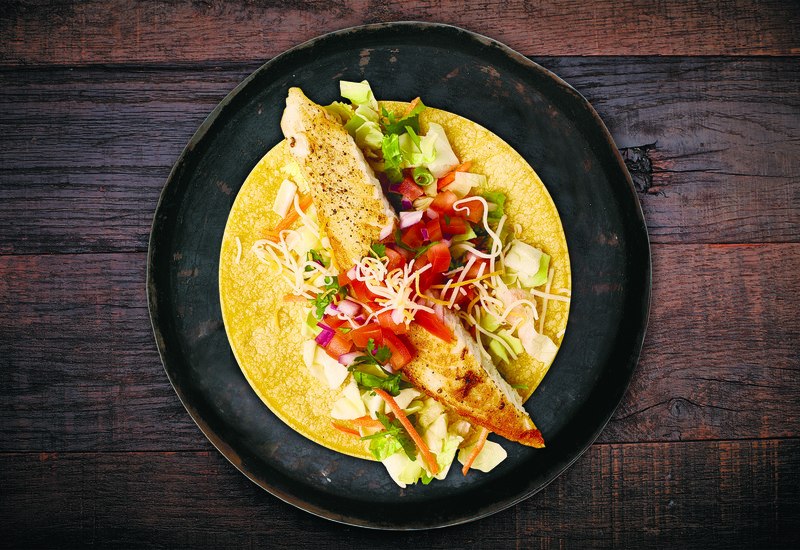 If you like your fish tacos with a little crunch, you’ll love this recipe. 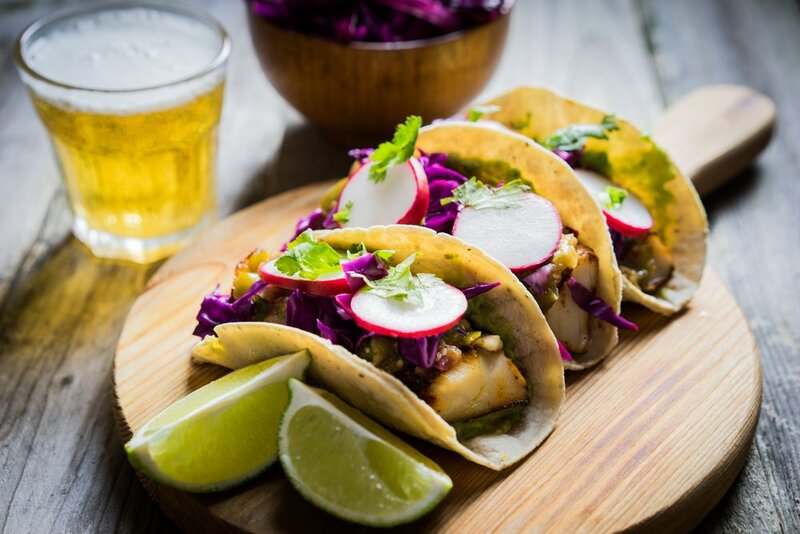 This Fish Tacos with Cabbage Slaw from Snack Girl features Tilapia that’s been rubbed with garlic and spices along with a bold, crunchy slaw made from red cabbage, onion, cilantro and lime juice. 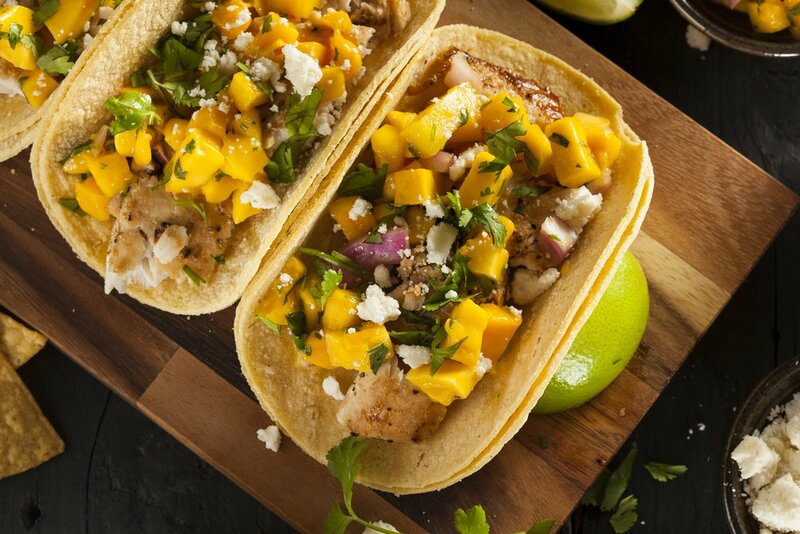 Peaches may not be the first topping that comes to mind when you think of fish tacos, but this Tilapia Tacos with Peach Relish from MyRecipes will leave you wondering why you’ve never paired them before. 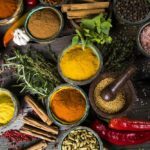 The salsa is made from a mix of savory and sweet ingredients such as peaches, onion, cilantro, lime and spices. 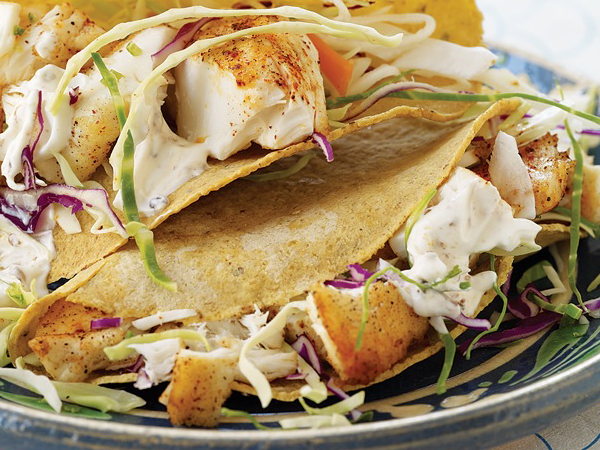 It’s the perfect accompaniment to crispy, panko-breaded Tilapia in a warm tortilla. 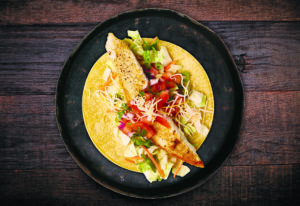 Looking for a fish taco recipe without the fuss? 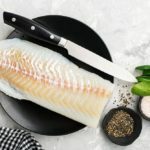 This McCormick Fish Tacos from McCormick.com has only six ingredients. 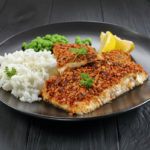 All you need to do is coat four Tilapia fillets with a mixture of breadcrumbs and taco seasoning, bake for 8 to 10 minutes, place the fish in warm tortillas and top with a mixture of salsa and tartar sauce. Easy. It’s time to fire up the grill! 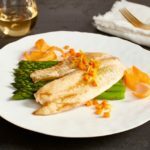 This Sautéed Tilapia Tacos with Grilled Peppers and Onion recipe from Cooking Light features grilled bell peppers and onions along that are paired with pieces of sautéed Tilapia and topped with slices of spicy jalapeño. Need a mini vacation? 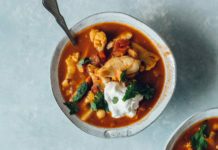 This Baja Fish Tacos recipe from Marlene Koch gets its flavor inspiration from the Baja region of Mexico, making this dish a great choice for when you’re craving something tropical. 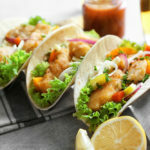 The Tabasco sauce gives these fish tacos an extra spicy kick, but the inclusion of yogurt in the sauce helps keep your tongue cool. 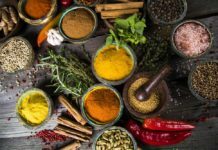 Sticking to a low-calorie diet doesn’t mean you have to give up your favorite food. 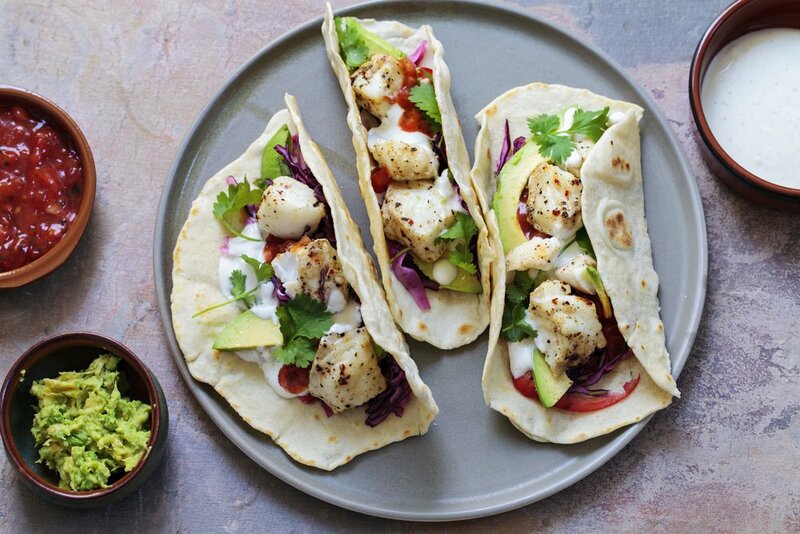 Next time you’re craving fish tacos, give one of these healthy variations a try! 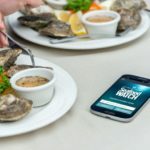 Can’t get enough fish tacos? Neither can we! 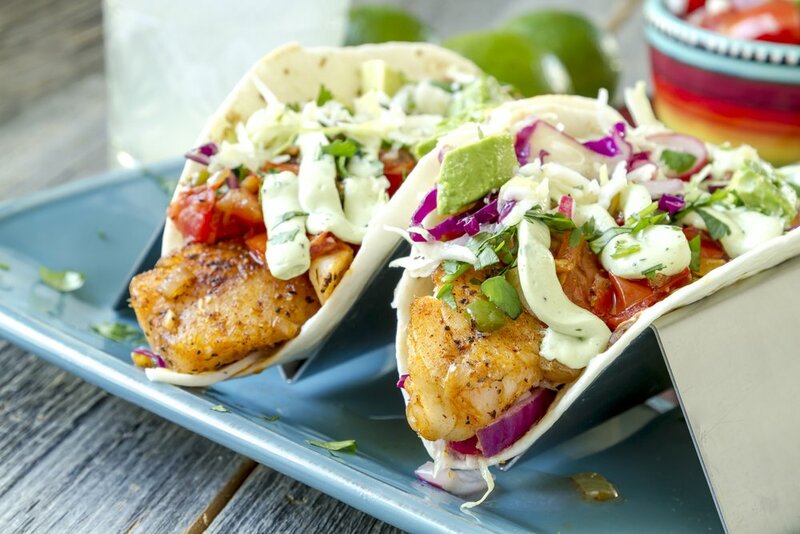 Check out our 5 favorite grilled fish taco recipes that are perfect for the upcoming barbecue season.